Source: Office of Technology Development. 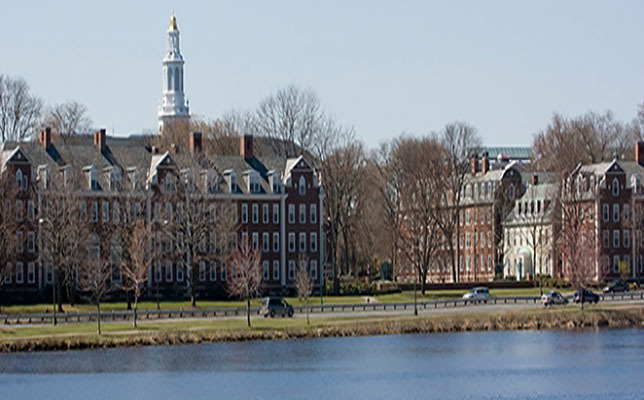 Harvard University has entered a research alliance with Tata, a global enterprise headquartered in India that consists of more than 100 independent operating companies, to develop cutting-edge robotics, wearables and Internet of Things (IoT) technology. Several Tata companies are contributing $8.4 million over the next six years to fund the research. The agreement, coordinated by the Office of Technology Development (OTD), involves Tata Sons, Tata Communications, Tata Steel and Jaguar Land Rover (owned by Tata Motors). The collaboration seeks to foster a global exchange of ideas. “This initiative will harness the power of research that crosses traditional academic boundaries, leading to more rapid discovery and the development of new products and services that address real-world problems,” Harvard Provost Alan Garber said in a statement. In addition to engineering new technologies, the partnership involves Harvard’s business and management disciplines to produce market outcomes. The university is establishing a Tata Fellowship Program at Harvard Business School (HBS) to create a future generation of entrepreneurial leaders (a similar program exists at MIT). Additionally, one experienced Tata employee under each research project will have the opportunity to enroll in the HBS Executive Education Program. For each of these programs, Tata employees and HBS faculty will collaborate to develop a commercialization plan for the technologies that will arise from the funded projects. The research projects are still being selected by a joint committee. Harvard labs such as the Faculty of Arts and Sciences, the Harvard John A. Paulson School of Engineering and Applied Sciences and the Wyss Institute for Biologically Inspired Engineering are among the groups expected to receive funding. Further information about the partnership is available on the OTD site.